Slice Zucchini length ways and grill on hot plate until semi tender. Blanch Broad Beans and Peas, thinly slice garlic, combine and lightly toss in pan with a touch of oil olive. Cook pasta in a large saucepan of boiling salted water, following packet directions, until tender. 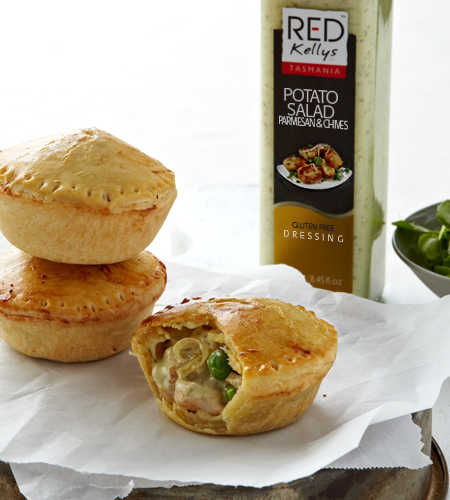 Drain and return to pan together with Broad Beans, Peas and Zucchini and a handful of chopped parsley. 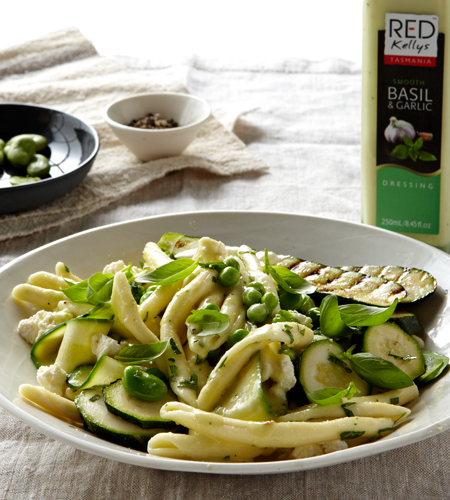 Pour generous amount of Red Kellys Basil & Garlic dressing – Garnish with small leaf basil.